The Yarrow is the best known of Anglezarke’s rivers, and across the moors it forms the boundary line with Rivington. Flowing through Chorley borough all the way, the Yarrow has had a chequered history, from pollution caused by the effluent from textile mills up to the late 1980s, and more recently, the cleaning up of the waterway and the presence of salmon and otters. 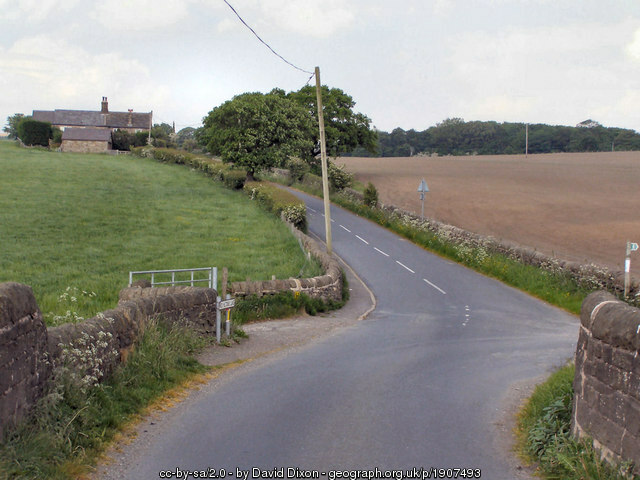 The source of the river is Will Narr, which is at the high point of the road from Rivington to Belmont, where the road sign until recently said “Welcome to Chorley. Twinned with the North Pole”. There isn’t a spring or spout as such, just a patch of wet ground that runs down the line of the hill, and the patch moves depending on the ground conditions at the time. Normally the first visible source is right by the footpath, and the stream is clear to see, even from here. The source of the Yarrow is at the base of the hill, Will Narr. The first dwelling that you see on the downward course is the Hempshaws, where you will see the Yarrow meet a feeder stream. This is the same river, just a smaller, wiggly watercourse from the nearby bumps. It is obvious why this was such a good spot for a farm – not just because of the fledgling watercourses, but also because they would also be first to put any waste in to the stream! The Yarrow has flowed through this area for millenia. You can walk along the clear banks of the river here, and it has already formed a deep gully with some great sights. I’ll add pictures when the weather perks up. 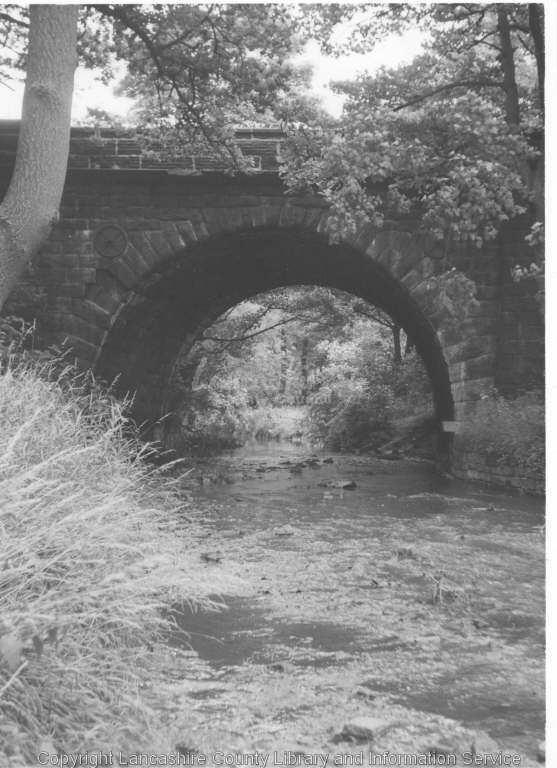 There’s a bridge that consists of a single slab of stone, linking the (technically) Rivington ruins of Stoops and Old Rachel’s with the Hempshaw’s. This stone may well be of old origin that the old farmers would have crossed. The land of dipper and wagtail. The next stop along the river is an unmarked ruin that I always call Giant’s Stile Farm for obvious reasons if you visit here. Just uphill of here is the mapped ruin named Simms. It turns out that the Simms original dwelling was Giant’s Stile Farm, aka Simms 1, down by the Yarrow. The farmers moved up hill, created a new Simms, and let the old one go to ruin. 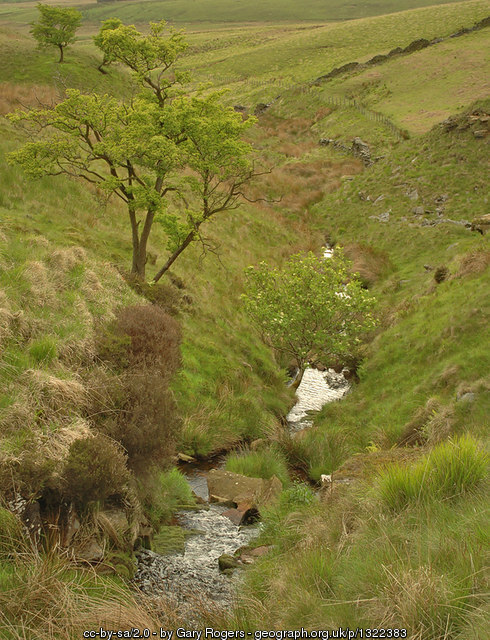 This spot is also notable because it is the confluence with Green Withins Brook. 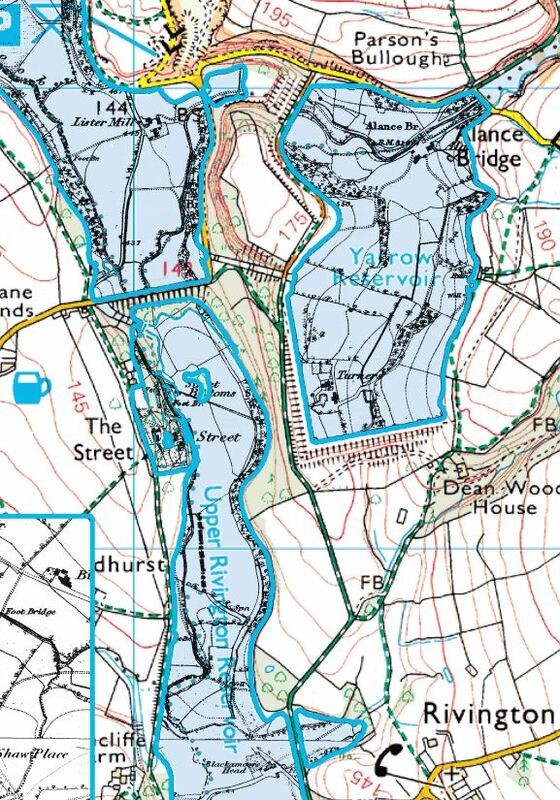 The now-larger river cuts an ever-deeper gorge through challenging terrain until it meets Limestone Brook at Meeting Of The Waters, alongside Alance Bridge where we have the forming of Yarrow Reservoir. At Alance Bridge, if you look down you can see in low water levels the valley of the original Yarrow confluence, still flowing its old path. 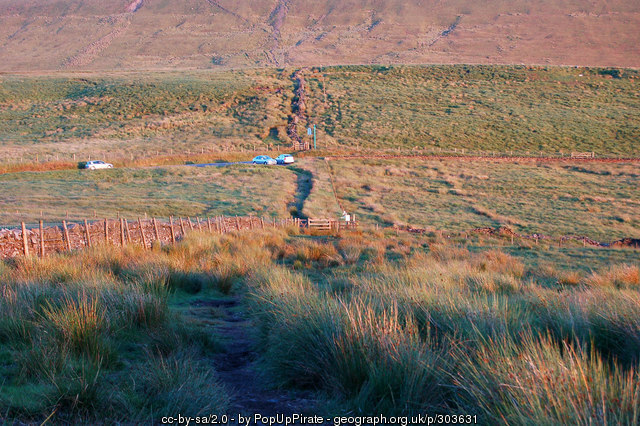 The path of the Yarrow as it was can be seen on old mapping. Thanks to Graham Donnelly for this great photograph of Yarrow Reservoir. Now, it finds its route down to Anglezarke Reservoir by one of two means. The preferred method for decanting water down is in a controlled manner, using a valve which is in the valvehouse at the top of the embankment. This is probably controlled by an electronic actuator these days. The second method for water to flow is of course with the waterfall, which is only rarely used as it is an overflow rather than a finely tuned mechanism. 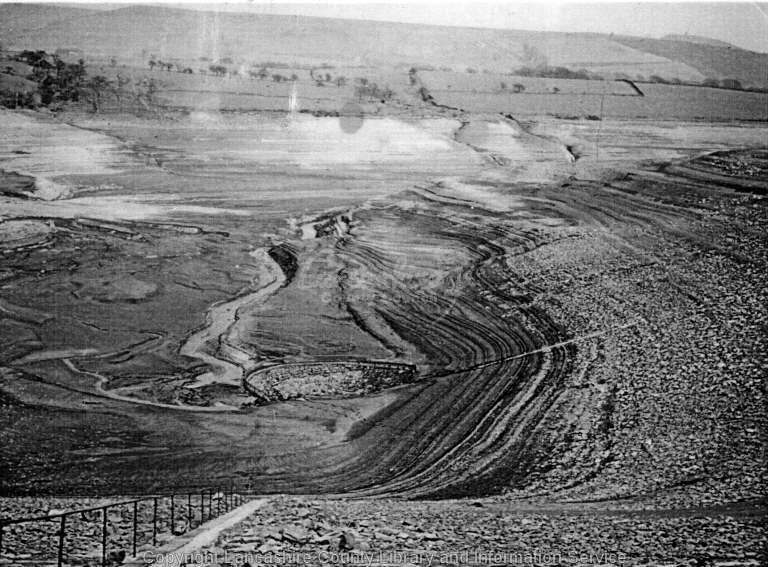 This photograph, taken over 100 years ago, shows the outflow that follows the old river course. All the reservoirs are interconnected so what ultimately leaves to follow the old Yarrow course is a combination of feeder waters known as “compensation water” and indeed all the old rivers that flow in to the reservoir set are all compensated. The water companies have to agree to provide a guaranteed downstream figure of water to return to the rivers from which they are fed. Civil Engineering Heritage: Northern England, by Robert William Rennison. TAKE NOTICE that due to the threat of a serious water shortage in the part of its water supply area served by the integrated reservoir complex at Rivington caused by an exceptional shortage of rain, United Utilities Water PLC (“the Company”) is applying to the Environment Agency for a drought permit under Section 79A of the Water Resources Act 1991. The proposed drought permit, which is intended to apply for 6 months, will allow the Company to reduce the compensation flow (1) from 3.9 Ml/d to 2.0 Ml/d (0.858 million gallons per day to 0.440 million gallons per day) from the Rivington reservoir complex to the River Yarrow via Brinscall Brook Lodges and (2) from 4.9 Ml/d to 2.0 Ml/d (1.078 million gallons per day to 0.440 million gallons per day) from the Rivington reservoir complex to the River Yarrow via White Coppice Lodges. A drought permit is therefore being sought for the Rivington reservoir complex from the Environment Agency. 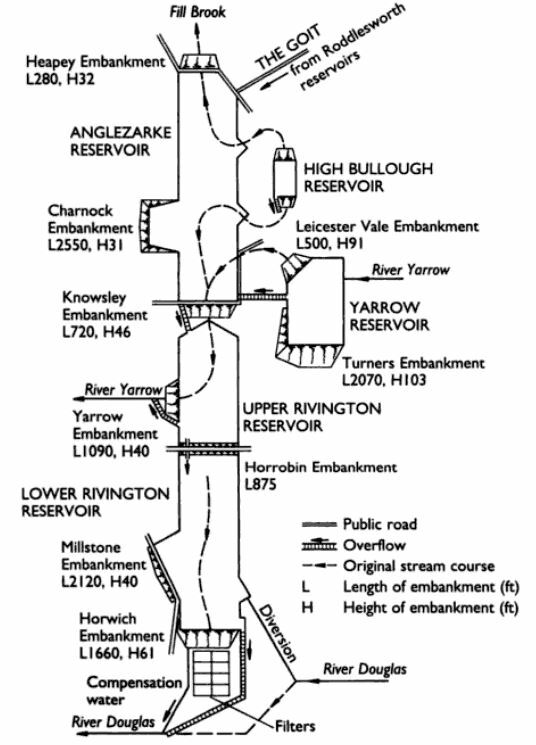 The Rivington reservoir complex comprises 8 reservoirs known as Higher Roddlesworth, Lower Roddlesworth, Rake Brook, Anglezarke, High Bullough, Yarrow, Upper Rivington and Lower Rivington which are interconnected. 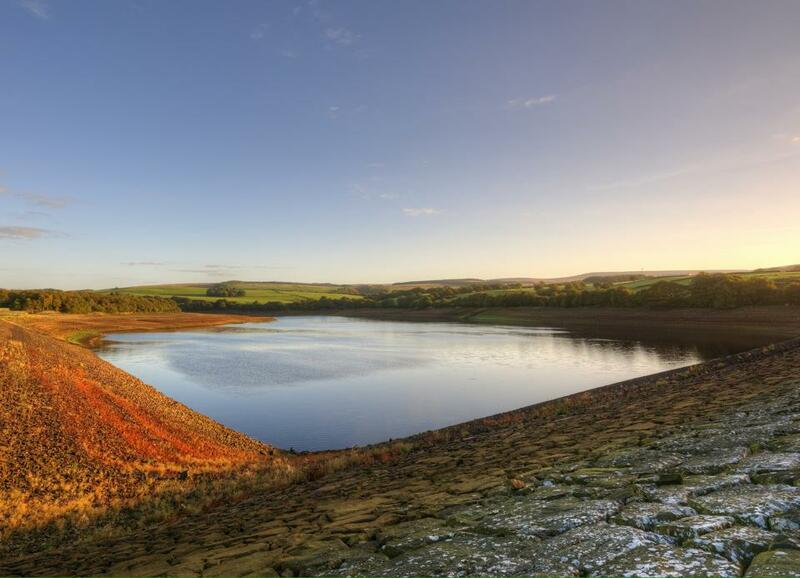 If granted, the permit will enable more water to be retained within three of the reservoirs in the complex, Rake Brook reservoir and Upper and Lower Roddlesworth reservoirs. This will result in a decreased rate of drawdown during the drought and will thus prolong the period during which the Company can maintain the lower compensation flows to both Brinscall Brook and White Coppice. 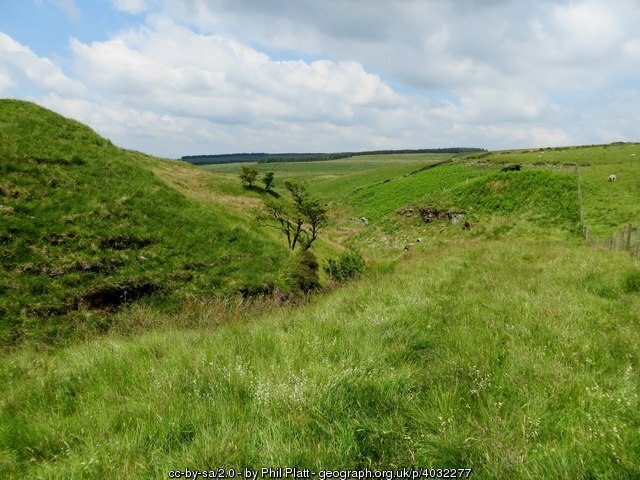 Furthermore, at the end of the drought period this reduced drawdown level resulting from the drought permit will expedite a return to normal water levels in the reservoir and thus flows within the River Yarrow via Brinscall Brook and White Coppice Lodges. 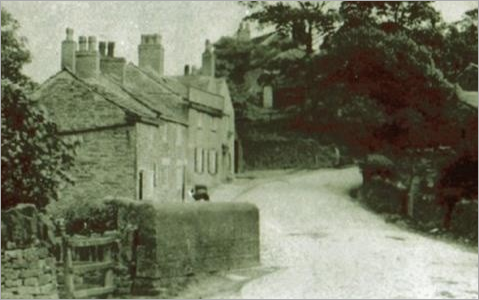 The old course of the Yarrow made a horseshoe, the east side of which formed a deep valley the full length of the street, the curve being to where the Rivington embankment is now. Street Bottoms had a footbridge over the Yarrow – the reservoirs are outlined above over old mapping. There were houses and cottages by the river side, and an area called Street Bottoms had a footpath and footbridge to cross over to Street Wood. 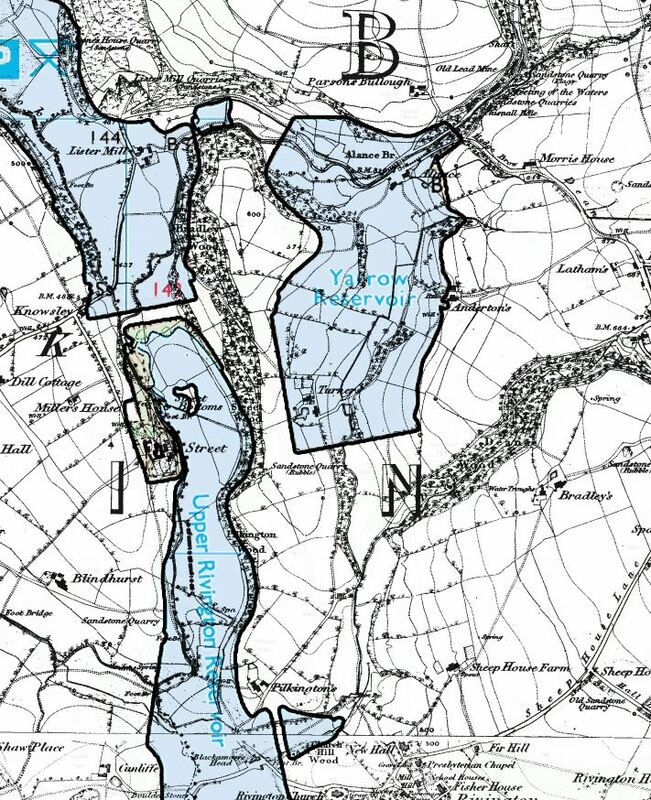 This composite map shows beneath the reservoirs, where you can see the old river lines of the Yarrow and Black Brook. The Yarrow now flows out of Upper Rivington reservoir bywash to pass Cuncliffe’s and Blindhurst then through quiet fields to Nick Hilton’s Bridge. This is a very old name in the area. Nick Hilton was a guardian who gave evidence in a case brought against Richard Standish. Richard Standish claimed ownership of The Street, in place of it’s actual owner, a Richard Street. On All Hallows, Richard Street and his family were attending a church service at Blackrod. Mr. Standish gained access to the property, however, a large crowd heard about this alleged break-in, and they threatened to knock the house down! The priest at the service – Sir John Jackson – entered the house, and later came out with Richard Standish and his party after having “lovingly” drunk together. Richard Standish then later claimed these people (not he!) were trespassing. It went to court… and he lost the case. We don’t know whether Nick Hilton’s evidence was for the prosecution or defence. Nickleton Brow, and Nick Hilton’s bridge over the Yarrow. Downstream we arrive at an area called Abyssinnia which was mining territory, so named as the miners were said back then to resemble Ethiopians in their pallour. There were said to be two colleries here, Anderton’s and Lower Anderton’s. These were west of the Yarrow between Hut Lane and Nickleton (Nick Hilton again!) Brow. The cottages across the road are called Bent Pit Houses and were probably built for the miners. There were also two turner smiths, one behind the Bay Horse and another near Broad Oak where there was also a fire clay works. They was a clay pit and kiln at the corner of Rawlinson Lane, and a fire brick works on the South side of Nickleton Brow. Hut Lane hospital was on this section of river, now replaced by modern housing. This was an isolation hospital, and Hut Lane was previously called Hospital Lane. When you cross the river to the moorside bank off Hut Lane, you walk up a path known as Water Street to a two storey building with a chimney that was previously a school. 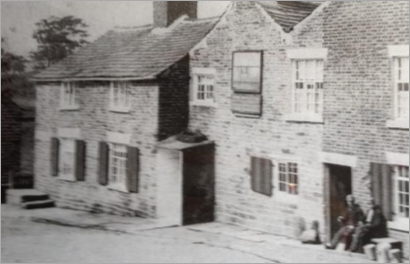 The oldest pub in England is here – the Black Horse – with a cellar dating to 997 AD! The bridge over the Yarrow near the Black Horse pub, guesstimated circa 1900. Another shot of the Black Horse, there is currently a shelter over the door to the right, which is not present here. The Yarrow flows through an area known as Three Steps which is between the railway line and the A6. The river flows beneath both. There is also an aqueduct here where the canal passes over the Yarrow, which makes three methods of crossing in a matter of a few hundred feet. The Yarrow passes beneath the Leeds Liverpool Canal. 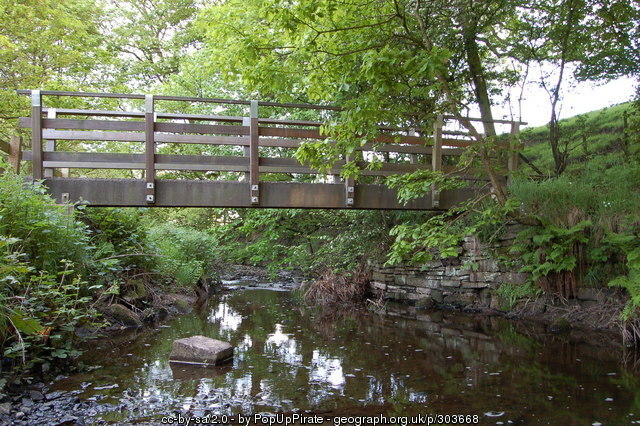 This is one of two aqueducts in Chorley, the other being at Crosse Hall where the canal passes over Black Brook. The last section of the Yarrow before it joins Black Brook was known as Red River due to the colour of the water. It was always the cleaner of the two watercourses until more recently where thankfully both rivers now bear salmon. 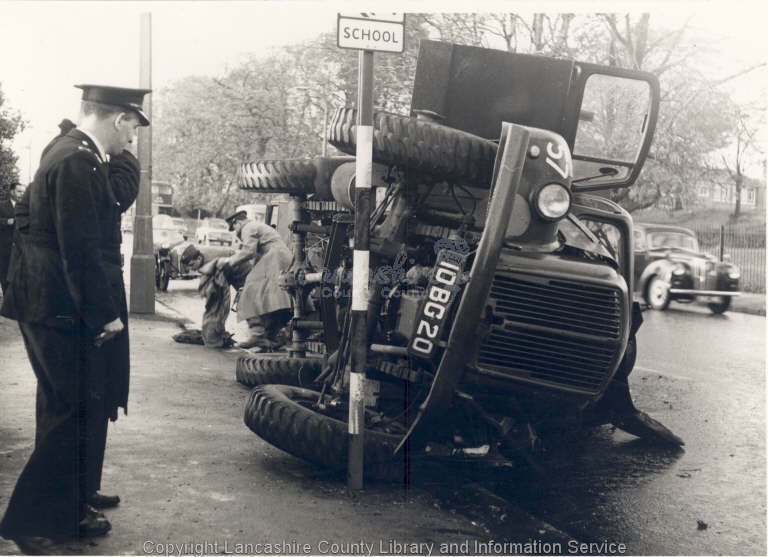 Old news footage of a fatal crash at Yarrow Bridge on the A6. After passing under the A6 we are in to the land of Myles Standish, a military officer who was born at the old Duxbury Hall. He was one of the Pilgrim Fathers who set sail to America and is far better known stateside than in the UK! Myles Standish monument in Duxbury, Massachusetts. 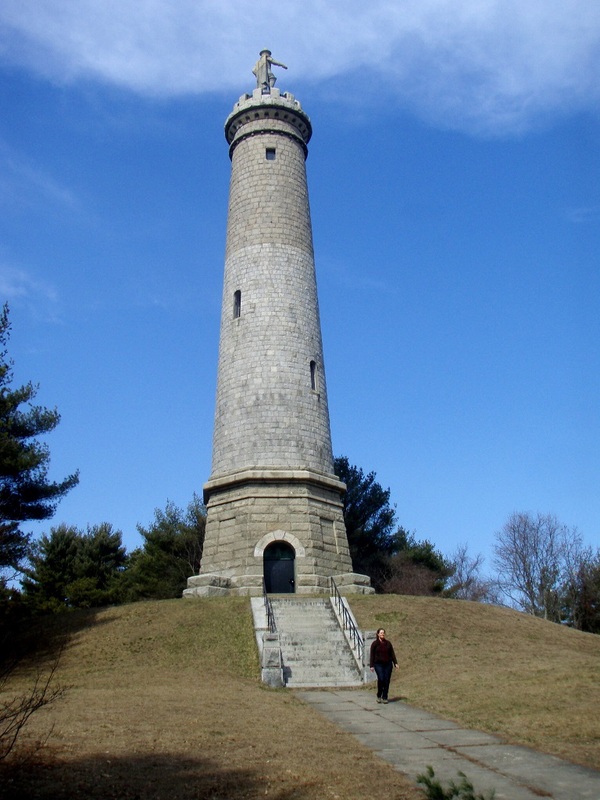 The above US monument is 116 feet tall, with a 14-foot statue of Myles Standish atop. The tower was built from 1872 to 1898, and refurbished in 1988. The 125 steps of the tower can be climbed when open, yielding views from the top of several 19th-century lighthouses.